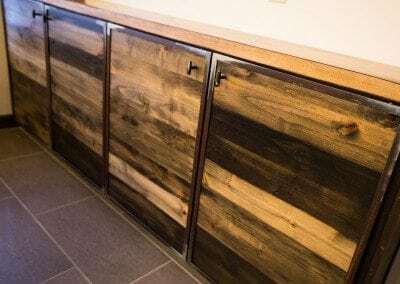 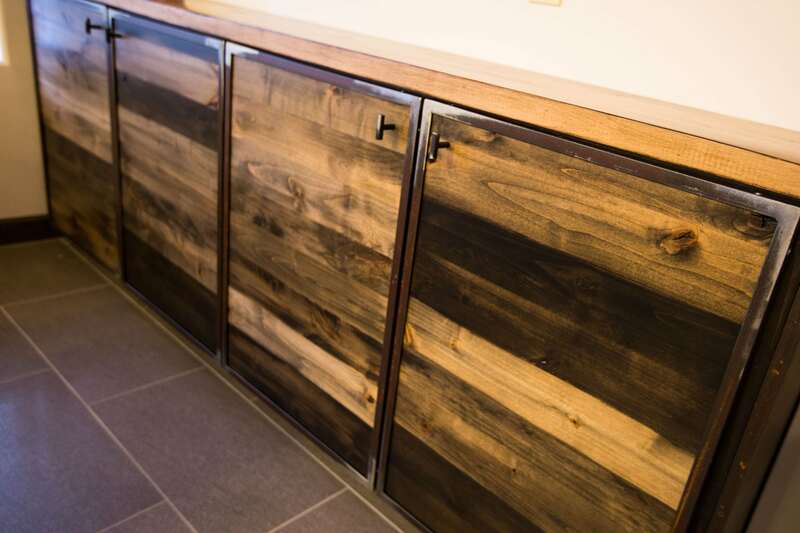 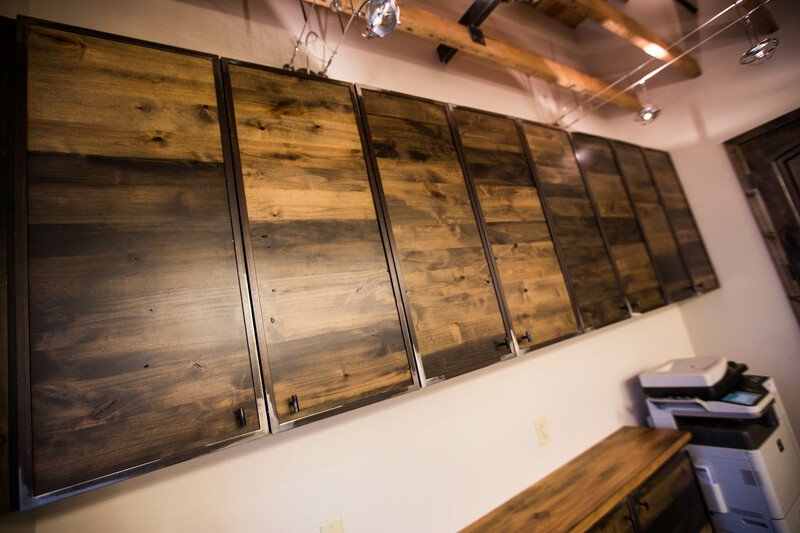 The cabinets we built for the Spencer Companies are what we call a 3-Tone Yuma knotty alder finish. 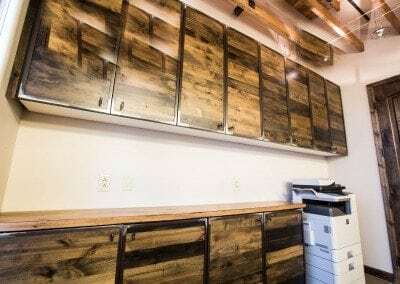 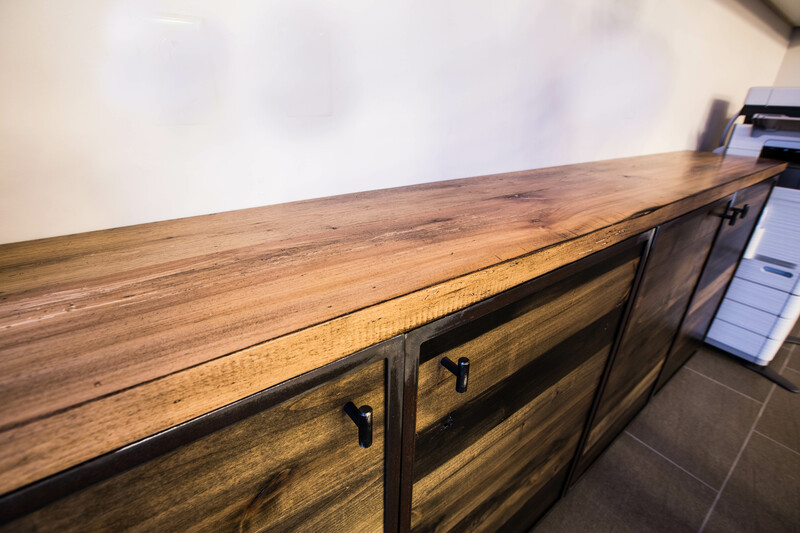 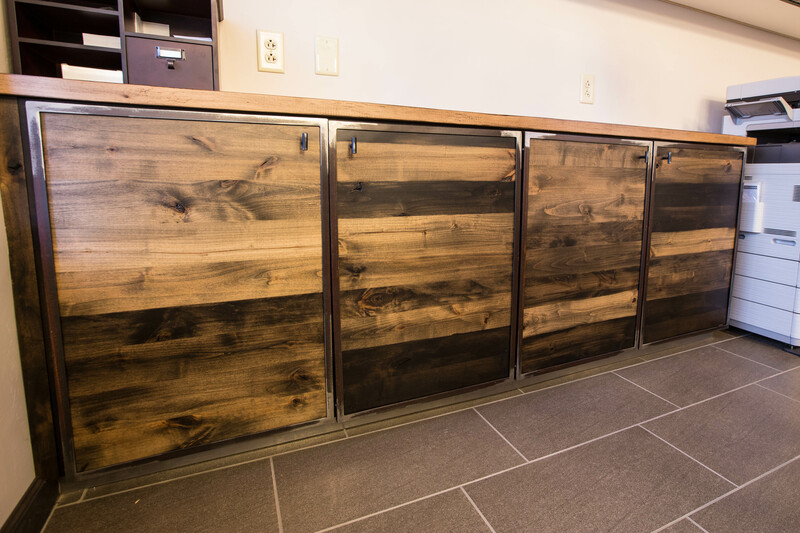 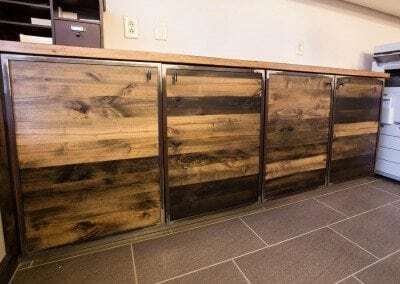 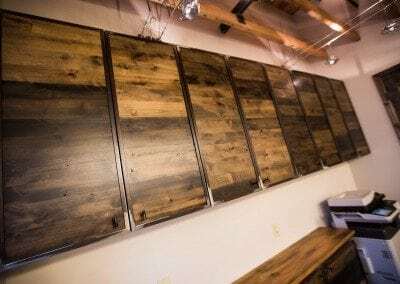 The doors are trimmed in steel frames and the countertops are made from reclaimed mixed hardwoods from KY/TN. 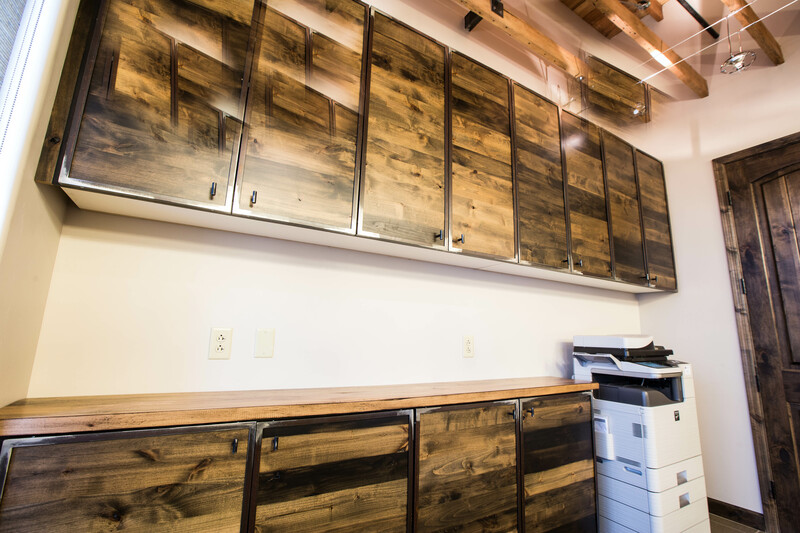 The built-in cabinets provide ample storage behind their reception desk and match the overall theme of the office.